As a sign of gratitude, Kris Aquino shared with her loyal supporters a glimpse of her humble abode. Along with her son James “Bimby” Yap, she showed netizens their rooms, game room, kitchen, and bathrooms. Kris also showed her collection of paintings and her mom’s portrait. The first portrait she showed was the late Ninoy Aquino’s gift to his wife Cory after she gave birth to Kris. The other one was a gift from Ninoy before he and Cory got married. Kris said she has a strong WiFi connection that makes it easier for them to watch online shows whenever they want. She mentioned that the film Return of the Jedi is significant for her since “This is the last movie I got to watch with my dad.” They were still living in Boston, Massachusetts when they watched it. It was also the first time Kris got interviewed. Bimby’s room was turned into Joshua’s room since the latter doesn’t want to be roommates with Kris and Bimby who won’t stop talking. They also have a game room for the boys which is bigger than Kris’s room. Kris also admitted that their house is unconventional. Kris clarified that she was not trying to brag by showing off her house, but it was her way of thanking those who supported her on her new endeavor. “THANK YOU... because it felt right for me to share w/ all of you as a symbol of my GRATITUDE what your SUPPORT & loyal encouragement for my new endeavors has continued to help me accomplish as a parent- the chance to continue giving my sons a comfortable home filled w/ LOVE. From the Aquinos–maraming salamat sa privilege na maging parte pa rin ng inyong mga buhay, kahit wala na ko sa TV–nagawan pa rin natin ng paraan matuloy ang #lovelovelove ON LINE. You must really care about me kasi care bears nga kayong maubusan ng data load just so you can watch my videos. Love you all, good night,” she wrote in another post. 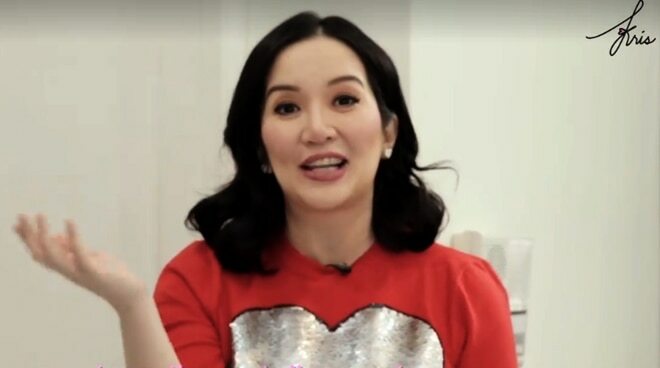 In one of her three-part webisodes, Bimby addressed the issue of some people judging his sexuality.